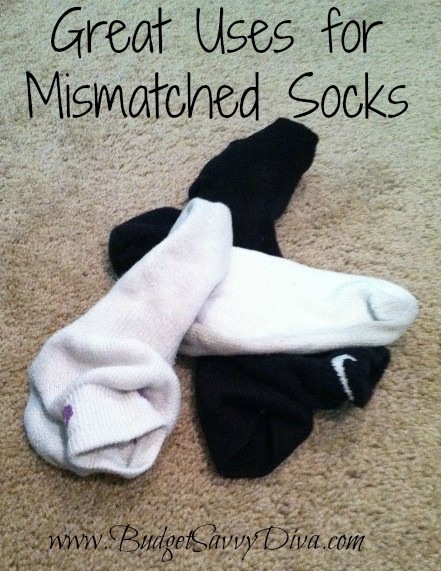 If you have ever had issues loosing sock to the monsters in your laundry room, don’t throw out the mismatched socks! 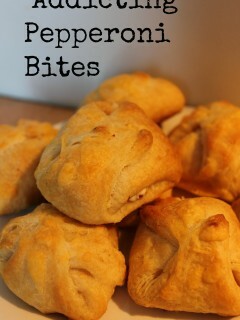 Here are some great uses for them! 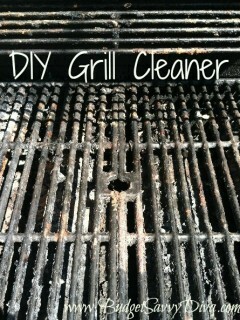 1) Dusting – Socks can be great to use for dusting hard to reach places. Put over your hand and dust off all kinds of knick knacks. 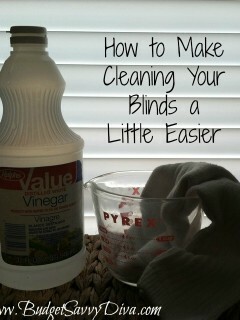 2) Cleaning Your Blinds – Check out the previous post I did on cleaning your blinds with a sock. 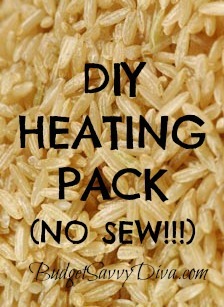 3) DIY Hot Pack – Fill a sock with uncooked rice and tie off the end. Microwave for one to two minutes and you have an instant hot pack. The longer the sock for this one the bigger area you can use your hot pack on. 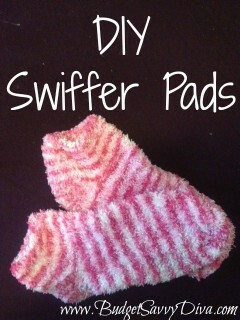 4) Shoe Deodorizer – Fill a sock with some baking soda and place inside your shoe overnight. 5) DIY Moth Balls – Fill a sock with pencil shavings. No more issues with holes in your clothes and no moth ball smell! DIY Heating Pack, No Sew!